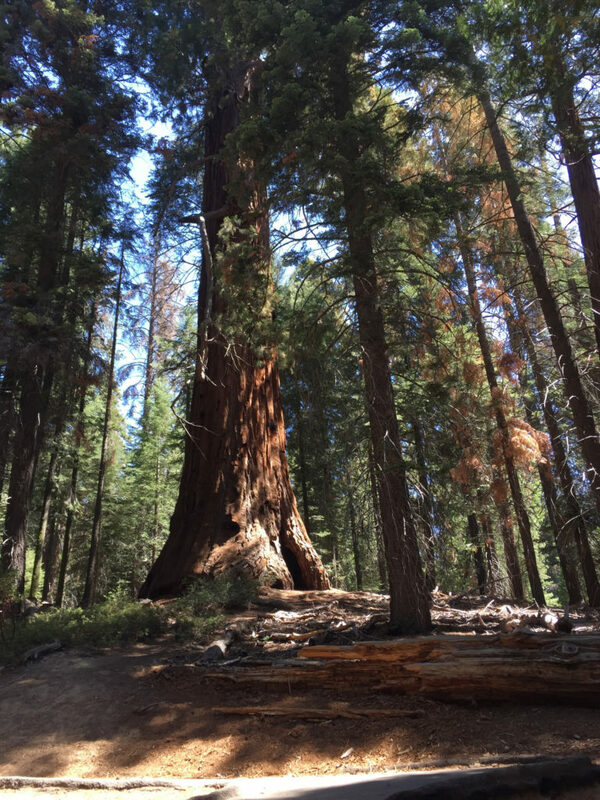 The Trail of 100 Giants runs for approximately 1.3 miles and loops you through the magnificent forest of Sequoia. It’s a paved trail, and is largely accessible with the exception of one point where twin trees fell across the path in 2011. 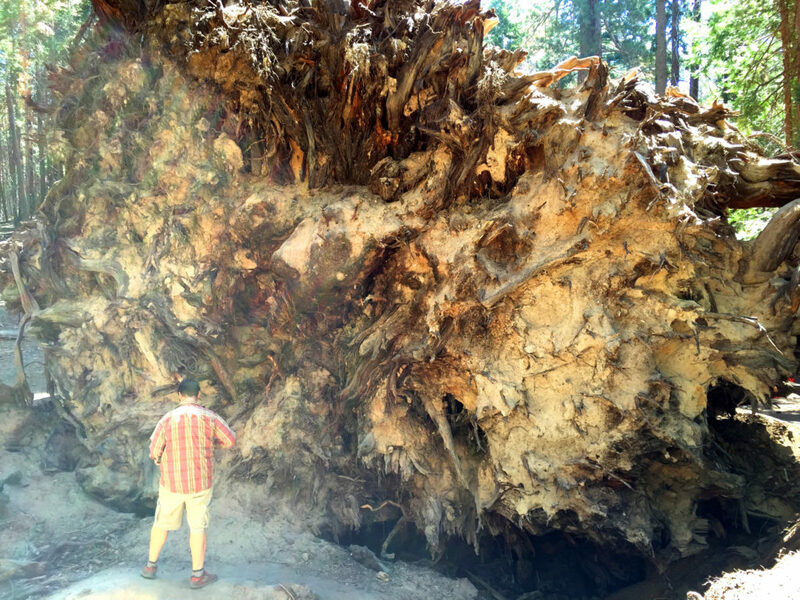 The trees had literally grown together, and for reasons that are not entirely clear, these 280+ foot trees fell across the bridge. A German tourist named Gerrit Panzner caught the fall on the camera (after he wisely ran out of the way), and you can see them come down here: http://www.kcet.org/living/travel/socal_wanderer/outdoors/video-watch-a-giant-sequoia-tree-fall.html The park is working on creating an alternate route, but for the moment, if you aren’t able to scramble over the rough ground, you may want to start the loop from another point, or double back so that you can explore from both sides of the fall. I’ve never before understood the idea of the forest breathing – of it living and communicating. 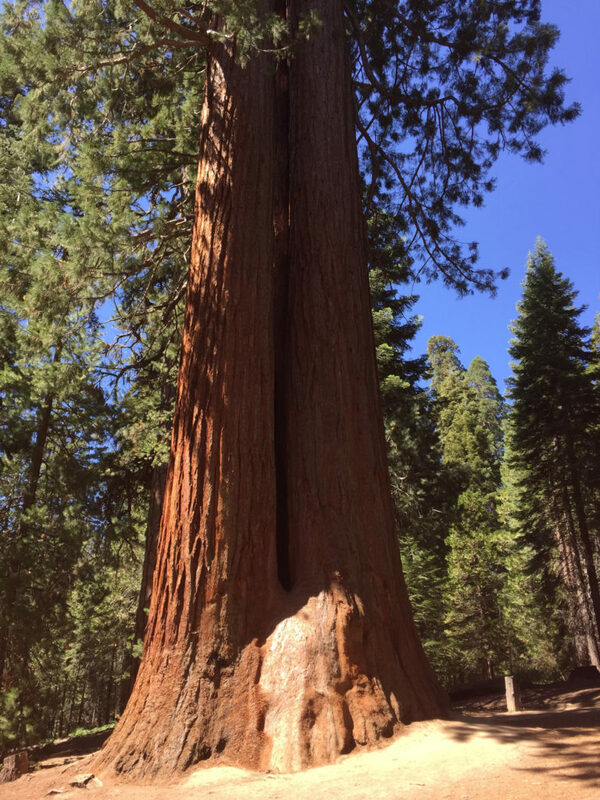 It’s a fanciful thought, I suppose, but when you are talking about Sequoia trees that have lived for more than 1,500 years, and are so tall that you can’t see their tops, fanciful happens. 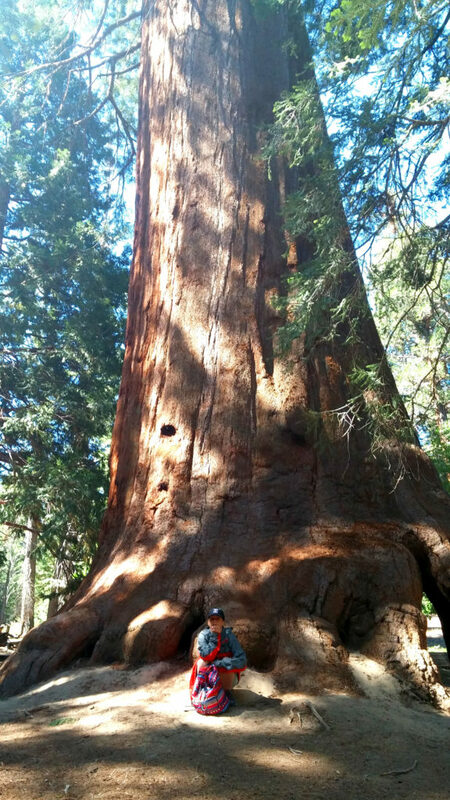 You can feel pretty insignificant here among the Giants (though, that’s not really a bad thing). It’s not just because you will often be shorter than the curved base of the trunk. No, I think it has something to do with how much they have “seen” over those years. It is hard for me to really understand what that means in real terms, but I know it added to the sense of awe I had walking among them. 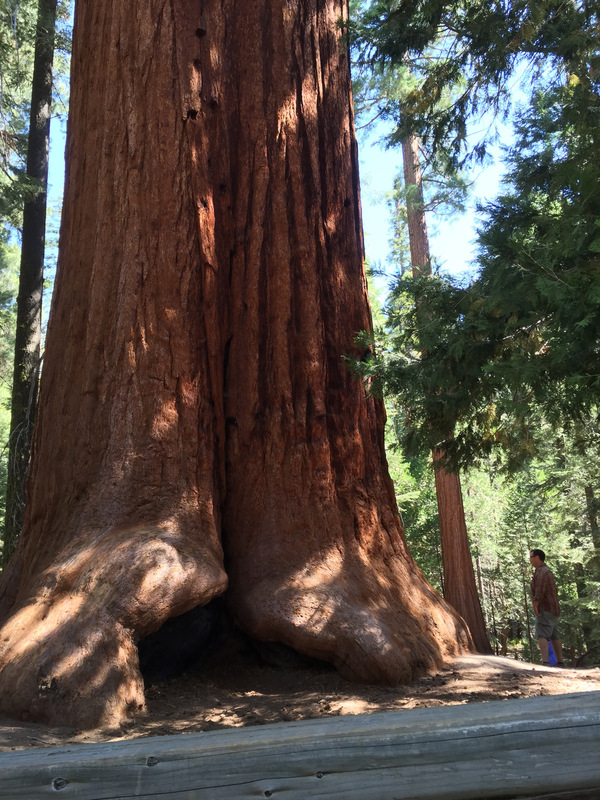 And if you are starting to feel your age, The Trail of 100 Giants is rather the perfect place to find perspective. Speaking of perspective, this is Andy by the side of one of the giants. Andy is over 6 feet tall, and is barely taller than the base of the tree. Amazing! To see more of these stunning trees, run through the pictures below — and then get ready for a road trip! Where: It’s a little over 30 miles from downtown Kernville. Take the M99 through Johnsondale. You’ll head west on M50 and then on M107. You’ll see a lot of signs once you get beyond Johnsondale, so it’s much easier than it sounds. 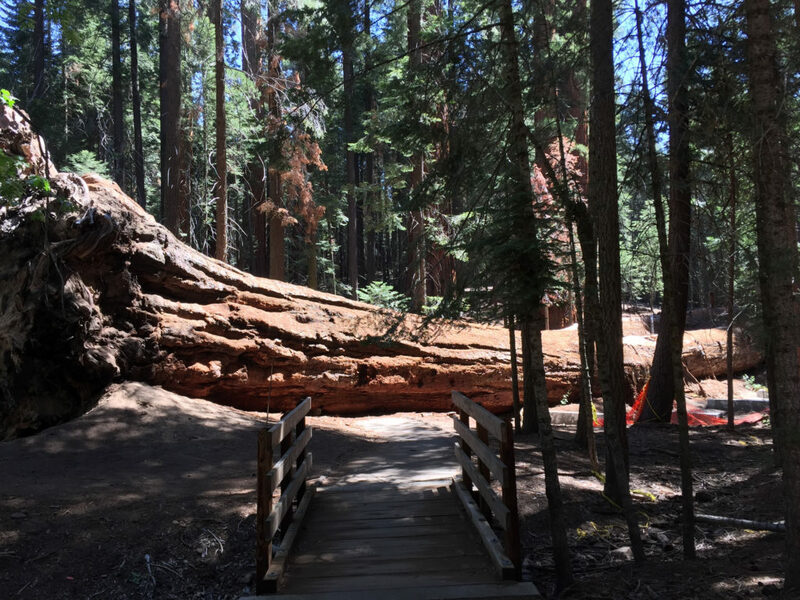 Accessible: Most of the path is accessible, with the exception of the point where the Sequoia trees fell. If you pick up the map at the parking station, you will see the spot clearly marked. Bathrooms: Yes. Bathrooms are near the main parking area.